Emergency personnel say a man in his 40s lost his life in this morning's double-vehicle crash in Pietermaritzburg's Imbali area. 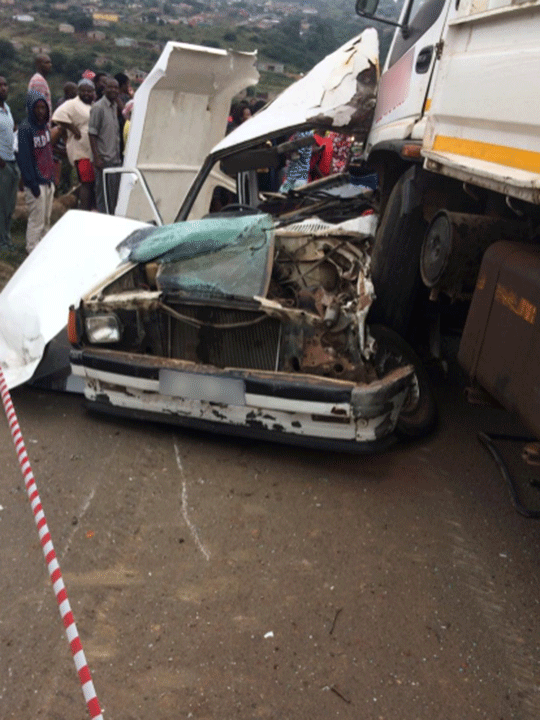 He was travelling in a bakkie that had also been transporting children to school, when it collided with a truck on France Main Road, in the township's France location. ER24's Russell Meiring says 17 people were injured. The man, who died was a passenger, became trapped in the wreckage. "ER24 paramedics along with other services arrived on the scene shortly before 8am to find both the bakkie and the truck in the middle of the road. Several children were found scattered around the scene. Paramedics set up a triaged area and began assessing the patients," Meiring said. Midlands EMS was also on scene. "Emergency personnel arrived on scene and found that the truck and bakkie had collided with severe damage to both vehicles. Unfortunately, one person has been declared deceased on scene and is still entrapped inside the vehicle. Another 15 school children of various ages - have been injured," he said.